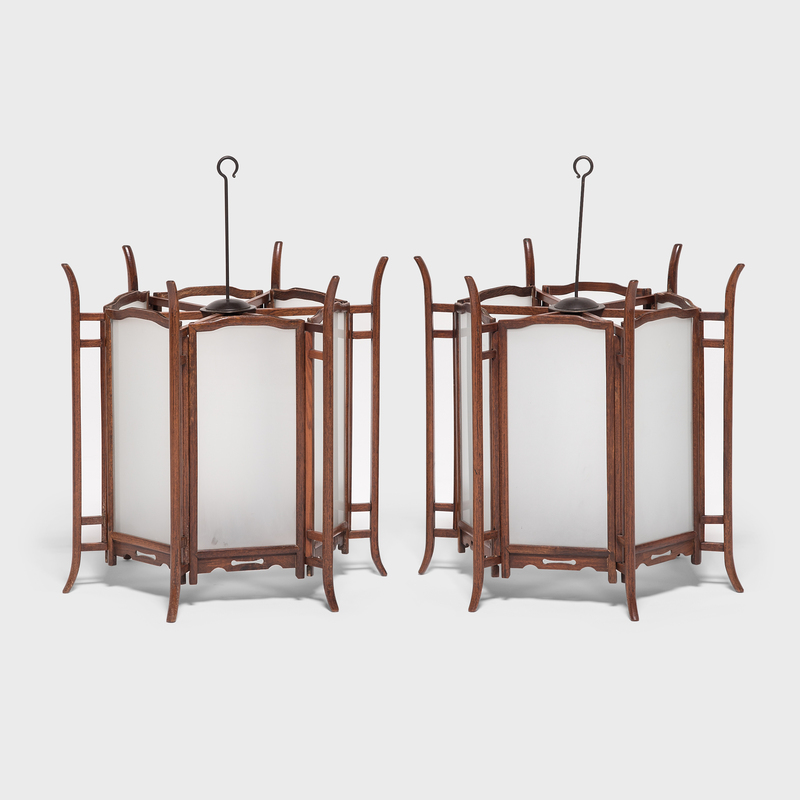 Elegantly constructed of thin pieces of rosewood, this pair of ornate 19th-century lanterns would have originally been lit with candles to illuminate a very fine courtyard home in China's Shanxi province. 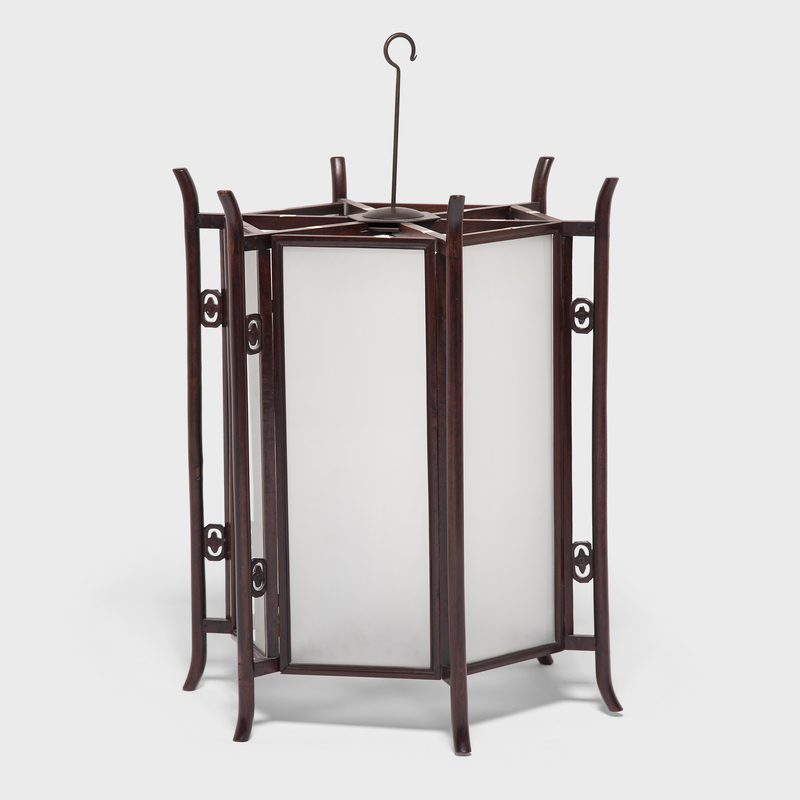 Chinese lanterns have a history that goes back over 1,800 years to the Han Dynasty. 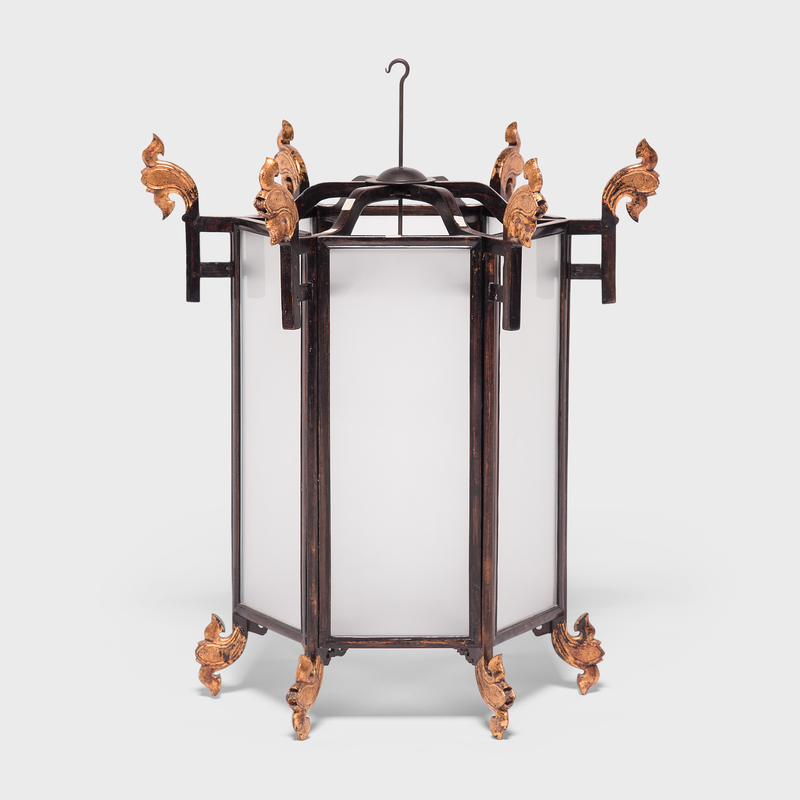 During the Lantern Festival (which falls on the 15th day of the first lunar month), people hang lanterns to symbolize finding a fresh start. 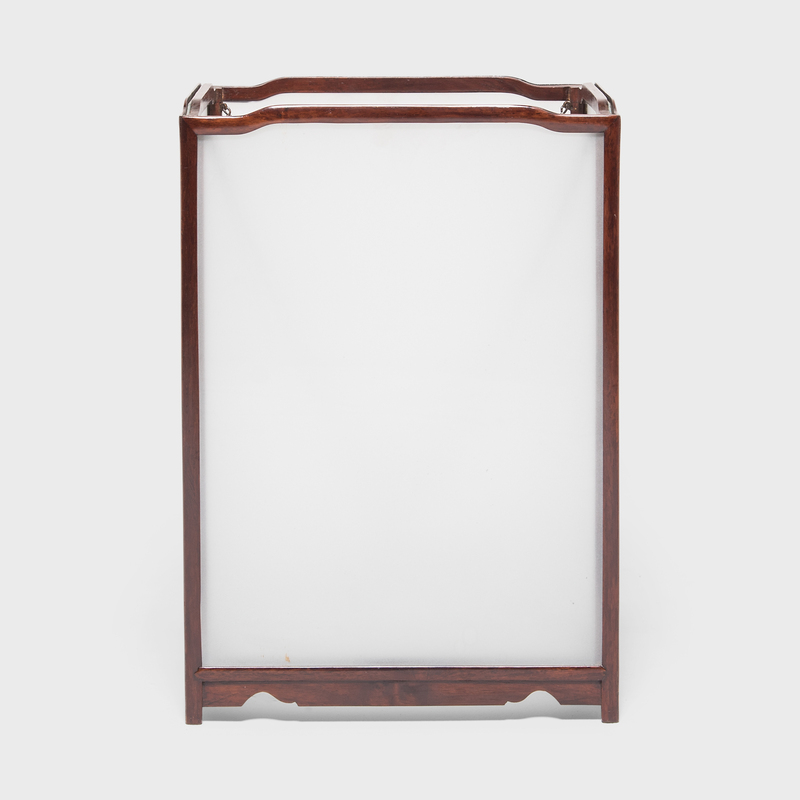 Each of the frosted glass panels are detachable and fit precisely within the delicate hexagonal frame like a puzzle. 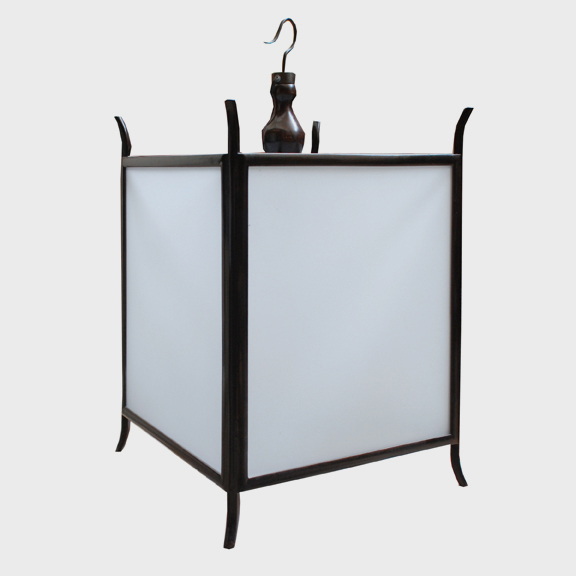 The lanterns can be hardwired by a certified electrician and professionally installed.